When strength and firepower are your requirements, look no further than the combat cruisers. These four ships represent the heavyweights of the T1 cruiser lineup, with stronger tanks and (for the most part) higher damage outputs than their attack cruiser counterparts. Combat cruisers make excellent brawlers, with strong tanks and plenty of firepower. While the class offers plenty of variation, combat cruisers generally excel when fighting at close to medium range. Thanks to their strong tanks and offensive abilities, these are difficult ships to take on toe to toe, and are typically capable of out-brawling most of the competition. With lower speed however, they have a harder time chasing down or evading targets than their attack brethren. Few ships embody the principles of Amarr starship design so well as the Maller. To describe it in a single word, the Maller is simply inflexible - in both senses. This is a ship which offers a great deal of raw, unbending strength, but lacks the nuance and adaptability characterised by the cruisers of other races. The sheer resilience of the Maller is already widely known, however a lack of offensive capability has historically relegated it to the role of dedicated (and obvious) bait ship. With Retribution however the Maller received substantial buffs to both its firepower and its mobility, making it every bit the Amarr powerhouse that it deserves to be. The 5/3/6 slot layout of the Maller is typical of an Amarr ship - plenty of room to augment its tank and gank, but little space for tackle or electronic warfare with which to control progress of a fight. Bonuses to energy turret damage and armour resistance further polarise this ship; the Maller is capable of mounting a buffer tank that many battlecruisers would envy without significantly hampering its damage output, however without the usual Amarr bonus to turret capacitor use a cap booster is almost mandatory simply to keep the weapons firing. Not only does this preclude shield tanking as a realistic option, but it also reduces the Maller's available mid slot count to a solitary one. In terms of damage output, the Maller is solid but not excellent; with five bonused pulse lasers and a small (15m3) flight of drones, the raw damage output on a typical fit is something in the region of 350-400dps. Where the Maller does shine is in terms of projection. Each of the other combat cruisers has a different limitation when engaging at range, be it travel time for drones or simply natural turret falloff. Thanks to the wonder of scorch crystals however, the Maller is able to project its full damage output instantly out to a little over 20km. Not only is this incredibly useful in its own right, but it also compensates somewhat for the Maller's fairly poor manoeuvrability by allowing it to hit targets at most typical engagement ranges without needing to chase them down first. As a solo platform, the Maller's overall inflexibility proves a significant limitation. In particular, the lack of mid slots makes it vulnerable to ships orbiting in close to take advantage of the naturally weak tracking associated with pulse lasers. Even where they're able to hit effectively, that same weakness along with its relatively low base speed can leave the Maller pilot with a hard time preventing their target from simply escaping. This all changes when you put the Maller in a gang - in the presence of other ships the ability to get under the Maller's guns is largely irrelevant, while its strong damage projection allows for fast target switching without the need to fly between targets. The Maller's resist bonus also synergizes very well with friendly remote repair, making a Maller gang with logistics support a relatively fearsome opponent. While the Maller is no longer restricted to being a bait ship, it still makes a good one when the situation arises (in fact it's even better at it now that it could plausibly be something different). With that in mind, I'd advise caution any time you're dealing with what appears to be a solo Maller. Aside from watching for suspicious behaviour (including but not limited to: acting like they're bait, acting like they're not bait, or acting in just about any way whatsoever), the most effective way to identify a bait fitted Maller is by looking at its guns. While even a conventionally fit Maller can be very tough, any setup using frigate-sized guns or, god forbid, autocannons instead of proper manly pulse lasers is almost definitely going to be bait. You can compare against my handy chart here to get an idea of what you're up against. While pulse lasers are no guarantee that a Maller isn't bait, larger guns will generally correlate with less tank due to their increased powergrid requirements and the associated tendency to fit more heat sinks. Should you be lucky enough to find yourself engaging a non-bait solo Maller, your best bet will usually be to orbit as close as possible, even if you're in a similar sized or larger ship. Avoid fighting at mid-range where you can help it, particularly if you're fragile - a tackler orbiting at 15-25km will find themselves right in the sweet spot of the Maller's pulse lasers. Even other cruisers should be able to evade some damage in close, particularly if you're packing a web to increase your speed advantage (and thus, allow you to hold a stable orbit). While the Maller is very cap-hungry, the presence of a cap booster means that neuting is unlikely to make a significant difference unless you can apply enough of them (dual mediums should do the trick), or the fight is drawn out long enough for the Maller to chew through all of its cap boosters. Speaking of drawing the fight out, it's important to remember that any fight against a Maller will probably take a long time unless you've got a really impressive damage output. Even if they're not explicitly bait, there will be plenty of time for nearby support to come and help out your Maller pilot should they be so inclined. Keep watching your close range d-scan, and be prepared to disengage if you need to should you see the cavalry arriving. In a class that's notable for offering a large number of relatively fragile shield ships, the Moa stands apart as the only shield tanker to realistically compare with its armour brethren in terms of durability. On the surface, it shares a lot with its Amarr cousin. For a start, its bonuses to shield resists and hybrid turret damage seem oddly familiar, as does its offensive complement of five turrets and 15m3 worth of drones. Ostensibly then, it's easy to assume that the Moa is mainly about tank. You know what they say about assumptions. As a shield tanker, the Moa is able to dedicate its low slots to enhancing its firepower. Coupled with the naturally high damage output of blasters, and you're looking at one of the most offensively capable cruisers in its class. A typical Moa fit puts out something just upwards of 600dps - a far cry from the relatively conservative Maller. With a 5/5/4 slot layout however, the Moa doesn't have a great deal of room for tank. While some fits will make do with just a scram, many spring for a web too in order to more reliably bring their blasters to bear. With only two or three mid slots for tanking, the Moa falls well short of the incredible tanking ability of the Maller, typically coming in at between 30 and 50k EHP depending on the fit. Of course, the Maller is probably not the ideal benchmark - compared to any other combat cruiser, the Moa compares quite favourably. Combined with its excellent damage output, this leaves the Moa as arguably one of the strongest cruisers available when brawling is on the cards. As a blaster ship, the trade-off for the Moa's impressive damage output is range - it doesn't get much of it, at least compared to its counterparts. That said, it's easy to underestimate the reach of medium blasters; while it deals its best damage with void inside 3km, loading null gives the Moa an optimal and falloff somewhere in the region of 6+9km - easily enough to hit you anywhere inside overheated web range. In fact, you're really looking at about 20km before the Moa's damage output falls off to the point that it can safely be ignored. When you're fighting a Moa, any range that you can pull is likely to work in your favour whether you can avoid all of its damage or not. The Moa isn't particularly fast - it's the slowest shield cruiser unless you count the Blackbird - however at a fairly respectable 1.5km/s it's still more mobile than the Vexor or Rupture in their armour configurations, not to mention leagues ahead of the Maller. Keeping range will be much easier if the Moa isn't carrying a web, particularly if you also have one yourself. Larger ships should generally avoid fighting inside scram range where possible, while smaller vessels might get some benefit from orbiting close - tracking on the Moa's blasters is good compared to other medium guns, but it's still not that good. While the standard fit tends to feature a buffer tank, active ASB Moas are not uncommon either. The Moa's resist bonus works equally well for either setup, and you can expect active Moas to put up a stiff tank for as long as their charges last. Active tanked or not however, your approach to fighting a Moa shouldn't really change - avoid damage where you can, and wear it down. As we've come to expect from Minmatar ships, the Rupture's greatest strength is derived from its versatility. Good mobility and an abundance of fitting options make the Rupture one of those ships that can do just about anything - shield or armour, brawler or kiter, gank or tank. Unfortunately, this flexibility comes at a price - there are few roles in which the Rupture isn't simply outperformed by at least one of its more specialised competitors. The Rupture's 5/4/5 slot layout is wide open, with plenty of room for either shield or armour tanking. Despite only having four turrets, bonuses to both projectile damage and rate of fire give the Rupture a marginally higher number of 'effective' turrets than its Amarr and Caldari equivalents, as well as having twice as much room for drones. However, the lower base damage of projectile turrets compared to hybrids typically leaves the Rupture somewhere between the Moa and Maller in terms of actual damage output, depending on the fit. In terms of gank and tank, the Rupture is fairly underwhelming. Its shield configuration offers fairly reasonable damage anywhere from 300 to 500dps depending on the fit, but little in the way of tank. The armour variant is tougher with about 40k EHP, but its damage output drops down into the bottom half of that scale. Thankfully, the Rupture has a few more things going its way. For one, it's the only combat cruiser to get a spare high slot and most of its common setups can easily carry a medium neut. This added utility can come in very handy for dislodging tacklers or brawling against cap-intensive opponents, and in gangs it can be incredibly valuable for neutralizing hostile logistics ships. Secondly, the Rupture's weapon system offers a great deal of versatility; it can select its damage type to exploit an opponent's lowest resist, has flexible range (although unlike the Maller's pulse lasers, its damage begins to fall off after the first few km) and requires no capacitor to fire. While not as fast as an attack cruiser, the Rupture is also relatively nimble which allows it to make good use of this flexibility in controlling the position of a fight - a very useful attribute when operating solo. 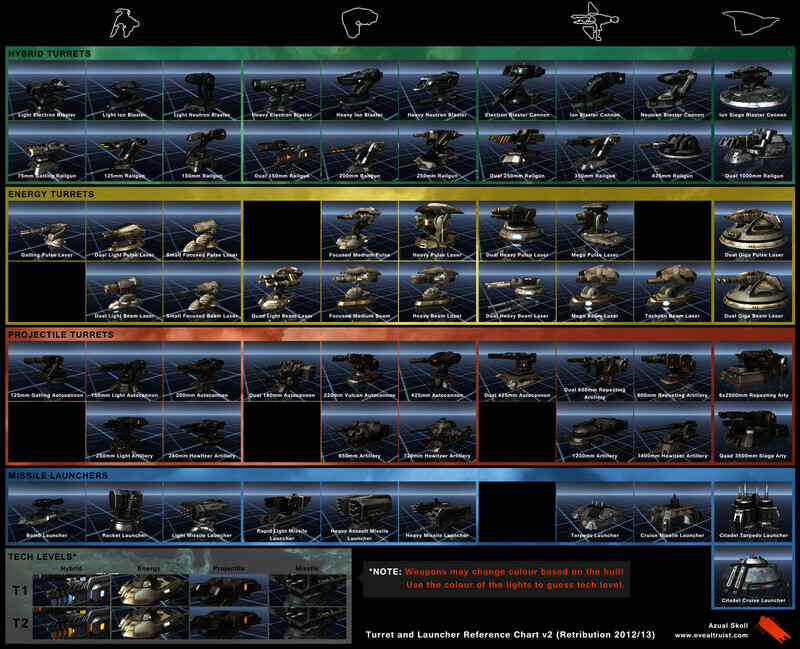 Of all the cruisers, the Rupture probably sees the most variation in terms of fitting. The shield buffer option tends to be the most popular right now, building on the Rupture's natural strengths to produce a relatively strong kiting platform. Typical speeds of between 1.7 and 1.9km leave the kiting Rupture significantly slower than its Minmatar rival the Stabber, however its damage output is also substantially higher. It's worth bearing in mind of course that this kind of fit generally fights well into its accuracy falloff, so the damage that it actually applies is usually much lower than its theoretical maximum. While it's possible for the Rupture pilot to commit to the fight and go in close to increase their damage output, this configuration is less suited to brawling and doing so presents a fairly substantial risk. Thanks to its natural kiting ability, the shield Rupture also makes a fairly strong artillery platform (in fact it's one of the few T1 turret cruisers that regularly gets used with its long ranged weapon system). Fitting artillery substantially increases the Rupture's damage projection - out to about 19+36km with close range ammo - as well as granting it impressive volley damage in the region of 2.5k. The loss of tracking speed however, combined with the inability to fit a medium neut, makes this kind of setup much more risky as a solo option and you'll mostly find it used in gangs. While not quite as common as its shield counterpart, the armour buffer Rupture remains a popular choice. Not only is this configuration far tougher - comparable in tank to the shield Moa - but the two mid slots that it gains by not fitting a shield tank give it a great deal of flexibility when brawling; dual webs or dual prop can give the armour Rupture excellent range control when fighting in close, while a tracking disruptor or two can add an unexpected twist to a solo engagement. The trade-off for this is reduced mobility (down to around 1.3km/s) and a substantial drop in damage projection (typically around 2+15km with barrage). The fitting options for this ship don't stop there; while buffer tanks make up the vast majority of the Ruptures that you'll encounter, both ASB shield fits and dual rep armour tanks see enough use to not be worth discounting. I won't go into too much detail on them, but suffice to say they're out there and you shouldn't be surprised if you encounter one. How you go about fighting a Rupture will depend to some extent on whether you think they're armour or shield fit. You can work this out by looking at their guns (425mms or artillery generally indicate a shield fit, while 180mms are common with armour), or simply by observing their behaviour in the lead up to a fight. While both configurations will deal their best damage up close, the shield Rupture has very little control over a close range engagement whereas the armour Rupture has exactly the opposite. Particularly if they're loading barrage, it's possible to evade a good portion of the shield Rupture's fire simply by orbiting as close as possible (as long as you don't have the same or worse tracking yourself - pulse lasers I'm looking at you). The armour Rupture on the other hand will lose a significant chunk of its damage output if the fight takes place outside of web range, however a stronger brawler might just want to dive in anyway. Against either configuration, beware of that neut - T1 cruisers have notoriously weak capacitor, and smaller ships will find themselves quickly sucked dry unless they're packing either a nos or a cap booster. They say it's worth saving the best until last, and while I wouldn't go so far as to call any ship in Eve the best, the Vexor is certainly one of the most interesting ships in its class. In terms of potential offensive power, it's hands down the most powerful T1 cruiser available - nothing else even comes close. The word 'potential' is important here, and we'll come back to that in a moment. 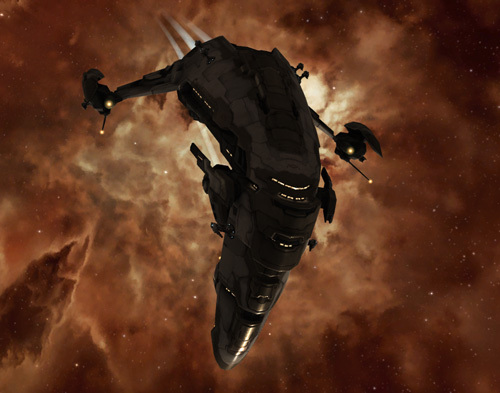 When it comes to fitting, the Vexor is very similar to the Rupture - its 4/4/5 slot layout is identical aside from losing the Rupture's utility high, and it's even about the same speed (the Rupture is marginally faster, but the Vexor's lower mass tips the balance in its favour when both ships are running their MWD). While most Vexor fits tend to lean towards armour rather than the Rupture's preference for shield, most of the common fitting choices are the same for both ships. The main difference between the two is in their choice of weapons, and that's where the Vexor gets interesting. The Vexor is, first and foremost, a drone boat. It boasts a very reasonable 75mbit/s of drone bandwidth - enough for a maximum damage combination of two heavy drones, two mediums, and one light - along with 125m3 of bay meaning a little room for spares. This is complemented by a 10% per level bonus to drone damage and HP, making each flight of drones even more deadly. With its max-damage drone wing alone, the Vexor already has a higher maximum damage output than most other cruisers (between 300 and 450dps depending on the number of damage mods). Of course, the Vexor isn't just a drone boat; it also gets four turrets along with a bonus to hybrid damage - only slightly less turret damage than the Moa! That means that at the lower end - with an armour tank and minimal damage mods - the Vexor can put out something like 600dps. For perspective, that's about what the Moa is capable of all in. Switch the Vexor to a shield tank, allowing more damage mods and bigger guns, and that number goes up to nearly 900dps! There are battleships which don't put out that much damage. Now before you get too excited, I mentioned that this was the Vexor's potential damage output. That's because while 900dps is by no means an imaginary theorycrafting number - a shield Vexor can in practice put out that kind of punishment - this is only going to happen under optimal conditions. That means when a target is in blaster range, and is the right kind of target for the Vexor to effectively utilise its heavy drones. When the Vexor is using light drones (for example to engage a frigate), those drones are only going to add about 200dps instead of the 450 or so that it might get from its max-damage flight. Similarly when fighting something like a Rupture that's able to control range, the Vexor might not be able to apply its full turret damage and that's going to cut its actual damage output nearly in half. The Vexor is actually quite a flexible ship - it's fairly fast (particularly the shield version), has plenty of fitting options, and can project at least part of its damage out to whatever range it chooses. However, its main strength is as a brawler; let a Vexor get on top of you, and it's one of the toughest (if not the toughest) cruisers to beat. Like most drone boats, it's not unusual for the Vexor to give up its high slots for a rack of energy neuts. This can play havoc with any active tanker, as well as making the Vexor a great asset for combating hostile logistics ships when operating in gang. If you're taking on a Vexor in a frigate or destroyer, you're probably going to have a bad time. Despite the fact that light drones mean lower maximum dps, they also happen to be very good at hitting those tight orbiting frigates that medium turrets can't. Thankfully even light drones have problems staying close to fast moving targets, so if you're able to orbit wide and quickly (think 4km/s or more) you should be able to reduce drone damage substantially. If you're flying a brawler, you're going to need to rely on tank - and luck - to stay alive until the drones have been cleared. Remember that the Vexor's drones are up to 50% tougher than normal, and that it will usually be carrying multiple flights of them. The standard choice is to carry one max-damage flight, and either two light or one light and one ECM. However some pilots will use a full flight of mediums as their main dps option, with either a second medium flight and one light, or multiple wings of light drones, in reserve. It's important to keep in mind that drones only account for part of the Vexor's damage output, and killing them won't do you much good unless you can evade it's turret damage too. Regardless of what you're flying, your first priority should be getting outside or under those blasters, then you can deal with the drones. The former is fairly easy, the latter is very hard - particularly if you're facing an armour Vexor which is almost guaranteed to have one web, and quite likely to have two. If you're flying a cruiser or larger, clearing drones is generally not a priority; if you can evade the Vexor's turrets, it's usually better to simply go for the ship and burn it down as quickly as possible. This is especially true if you're facing the shield variant - these are notoriously fragile, with some variants going as low as a single slot shield tank in order to mount a web. The armour version is tougher - similar to an armour Rupture or a Moa - but as long as you can keep outside web range it shouldn't be insurmountable. Very good article, I enjoyed the read. Though with regards to the Maller (And quite a few other ship, but we'll leave it case specific here) how would you recommend fitting it. I only get ~250 paper DPS with my best faction fitted version. heavy pulse 2s, energy weapon rigs, hobgoblin 2s, and scorch/INM/conflag by themselves get to his DPS numbers. Sounds like you're using scorch as default. My default ammo is usually navy MF - I use scorch for a few volleys while getting into range, or just to deal with things that I can't catch or that I don't want to get close to. Going all out tank on the Maller is a bit of a waste, I'd say. Unless you're dedicated bait, you can have a great tank while still leaving slots open for damage mods. If you're flying with logistics in particular, remember that resists are the most important thing - not overall EHP. If I can ask, why the long point and not a scram here? With how slow the ship is I would have thought the heavy tackle would be more useful. I also never considered doing the rigs like that and just used armor pumps. I am not criticizing your choice, just failing to understand it. We usually have some with scrams and some with long points. Personally I prefer the long point, because it means you can tackle things earlier. It also means that you don't have to go in close if you don't want to - it's nice to have options. As for rigs, trimarks are only really better if you're not flying with logi or when your logi is overwhelmed - they give more buffer than resists, but once reps are landing they don't make those reps any stronger. Resist rigs don't give as much buffer, but they let you tank a lot more once you're receiving logi reps.
Great writeup, however you neglected to mention my favorite way to fly my Vexor, with neuts! Typically I don't do that solo, but it can be a super effective addition to any gang and the utility that comes from neuts can be worth the lost of turret dps. I do run it solo every now and then as well, often to the surprise of my attackers. Someone else mentioned this too - I'll need to take a look at neut vexors, they sound interesting! I've thought of playing around with that idea before (and fitting up a Gila the same way, actually). I'll test it next time I own a Vexor hull and let you know if I end up getting the chance before you do. Hi, new in Eve universe here (~1month). I'm currently using a Vexor for PVE since a few days and i have just read your great post (I hesitated between a Thorax and a Vexor, you're comforting me in my choice :)). Do you have some fitting recommandations ? For PVE, the Vexor is definitely the way to go. I'd go with either an active armour tank (one or two medium armour reps, armour hardeners, and plenty of capacitor regen modules) or a passive shield tank (large shield extenders, shield resist modules, and rigs or low slot modules that increase your shield regeneration rate). Active tanks require more concentration, passive tanks are easy mode but do tend to take up a lot of slots. Thank you for the advices ! 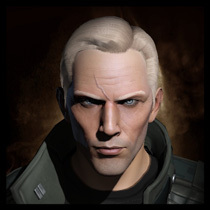 If your luck, some ship (Mainly Amarr ships, though), can combine the best of both worlds, running a full active armor tank, and active hardeners while cap stable, taking the concentration out of it. I personally do this - the down side to it is that the Amarr ships that can do this (I've haven't seen other ships that really excel here yet), you either have to carry alto of cap booster charges, or say goodbye to your midslots. This is because you'll need 3-4 good cap rechargers to keep it stable, and the Amarr ships only have 3-4 mid slots, so not the optimal choice unless you have dedicated EWAR/Warp jamming ships in your fleet. I've been taking a second look at your tweed gang article recently in light of how effective t1 logo has become and with the new cruiser changes. I'd love to see an article that covers t1 cruiser and logistics doctrines as these are relatively cheap fits that new pilots can get into fairly fast. Any plans on an article on this in the near future? No plans at the moment, but it's definitely something that I could do. Putting SP into drones is very much worth it, no matter the race. Because sooner or later you will be using drones of some kind. I can't wait for the next article. Here is hoping we get a Omen loadout this time as well. Total newb here. I have loved reading through all of your articles (understanding a little more every day). Your depth and writing style gets me as amped as actually playing the game! Please keep up the great work.